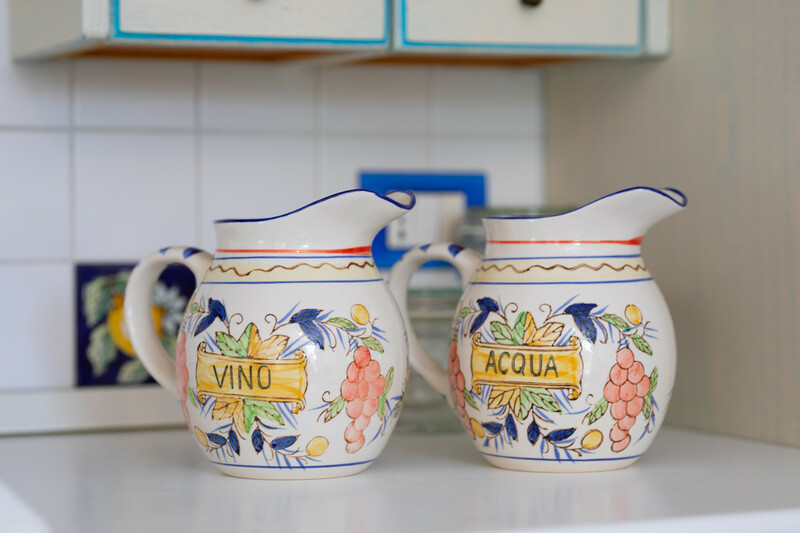 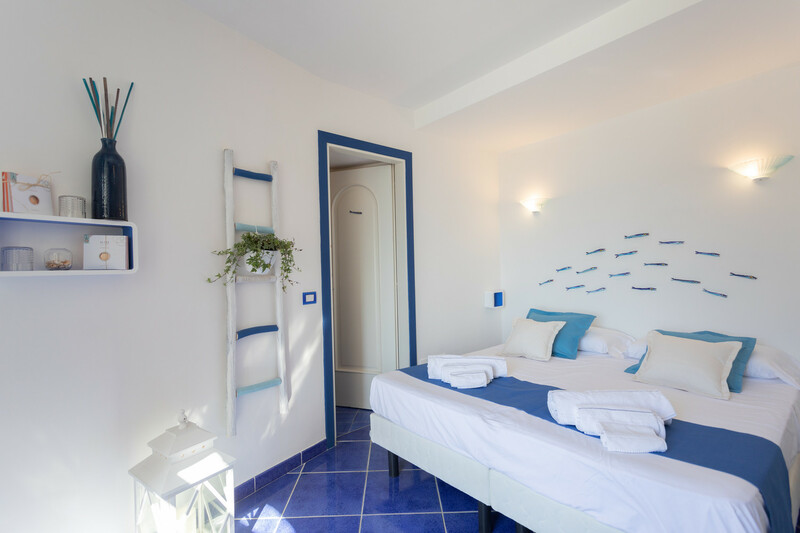 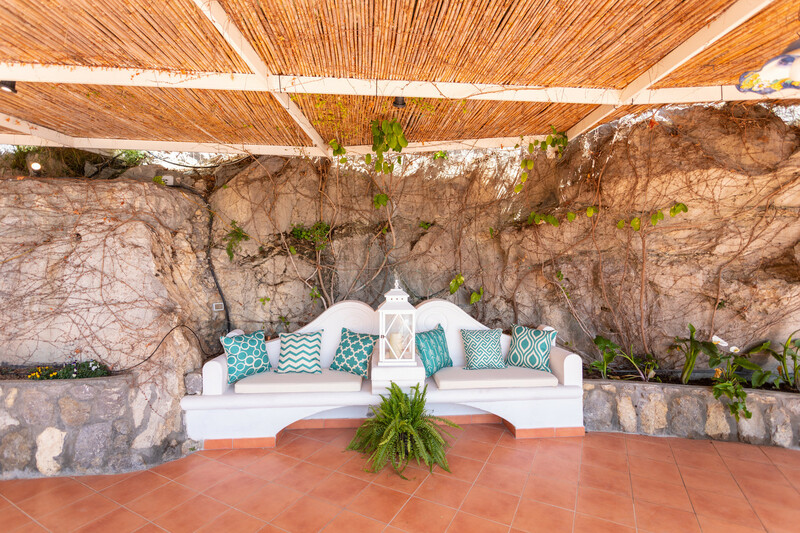 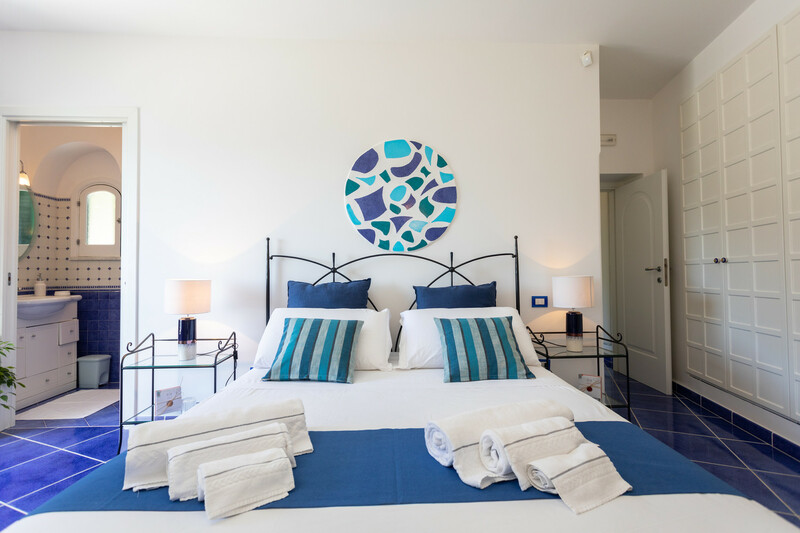 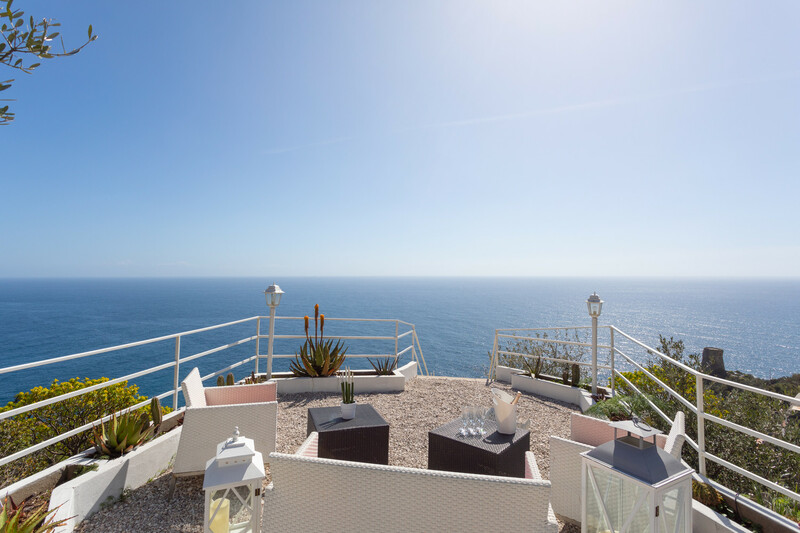 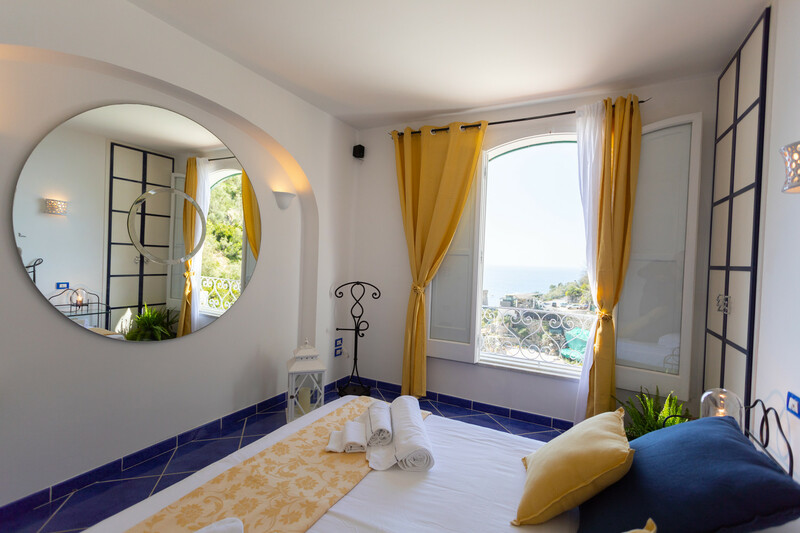 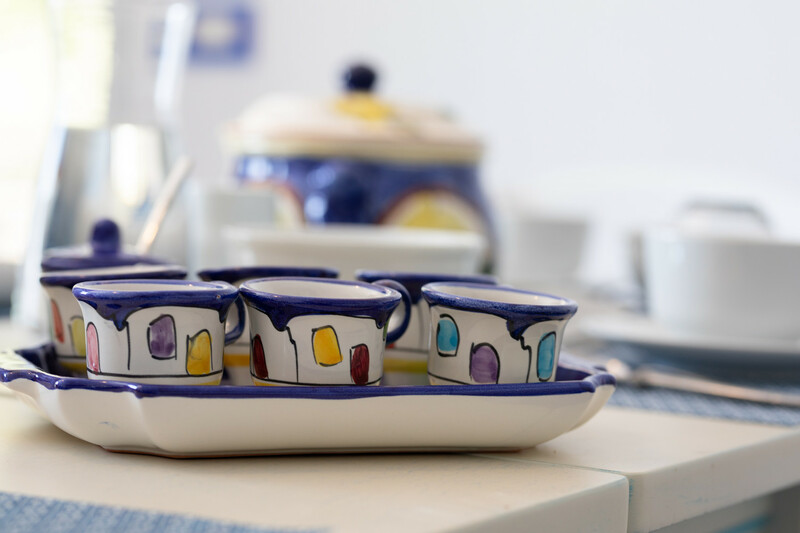 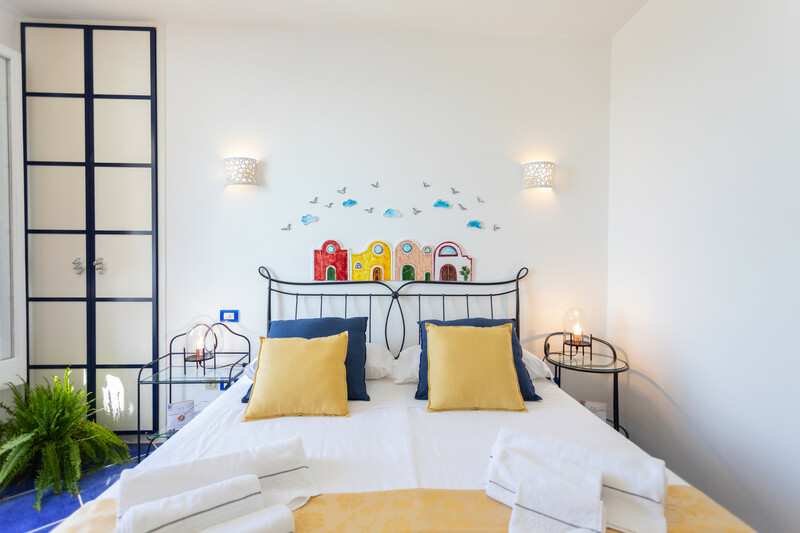 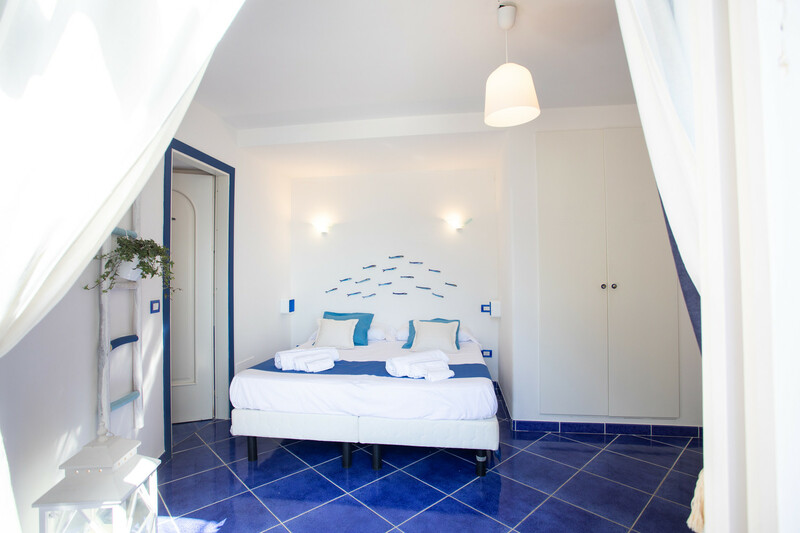 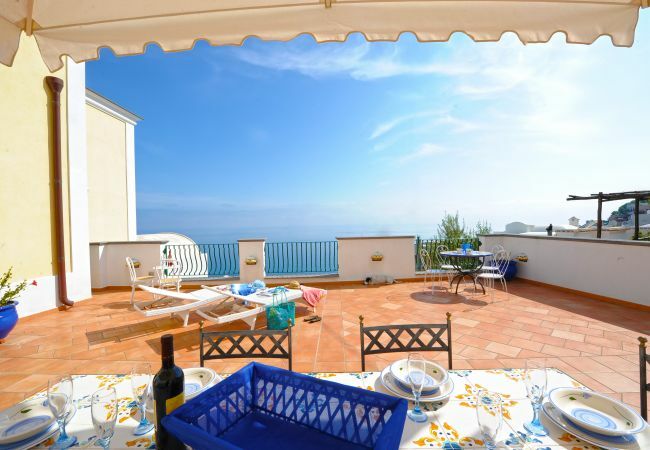 Villa Al Mare is located on the east side of Praiano, facing the stunning bay of Marina Di Praia. 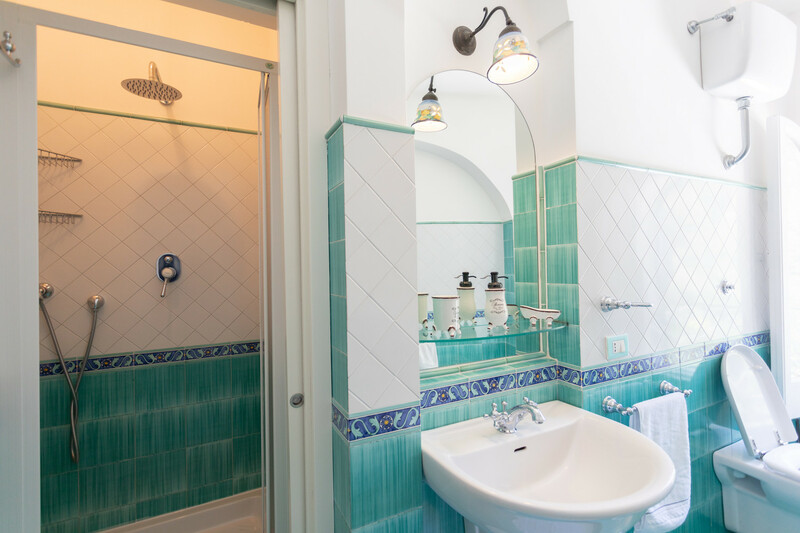 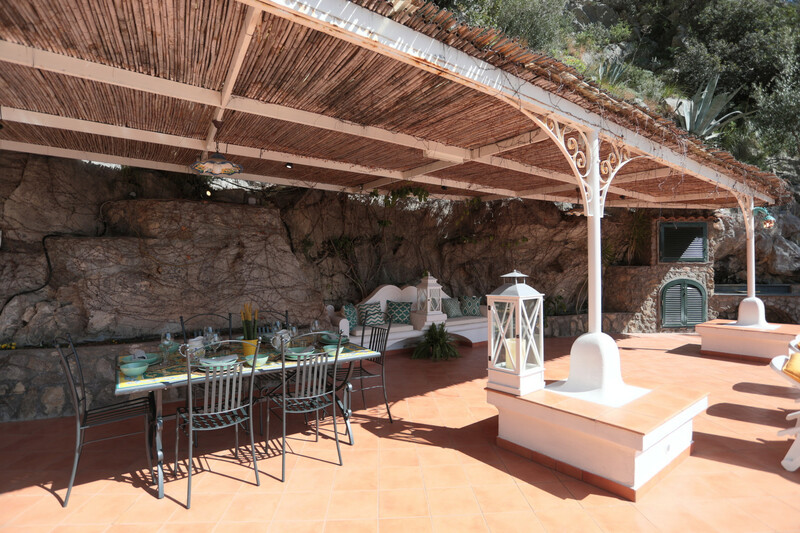 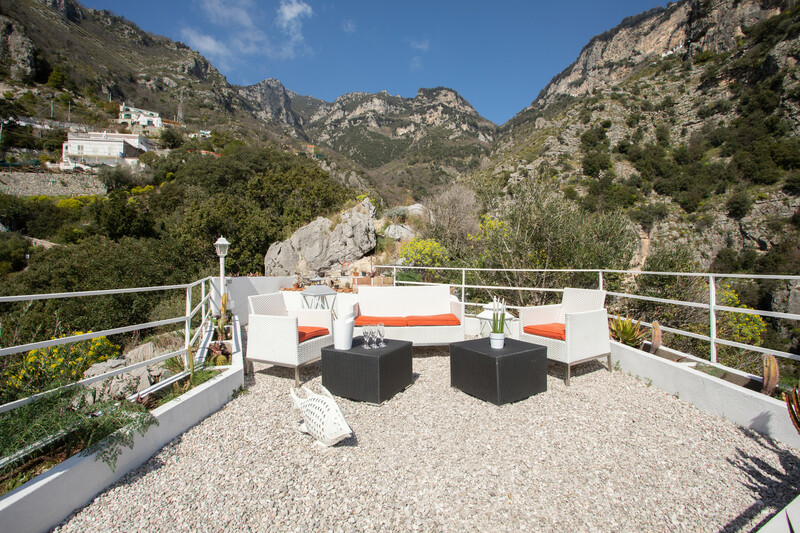 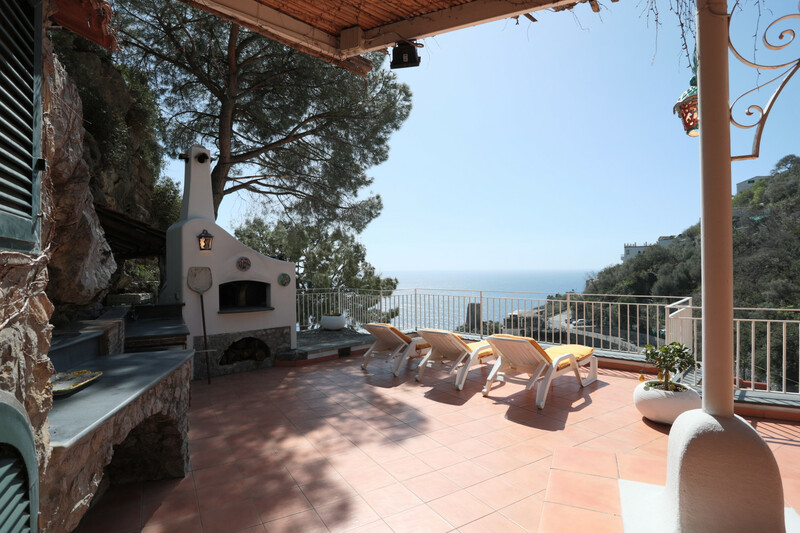 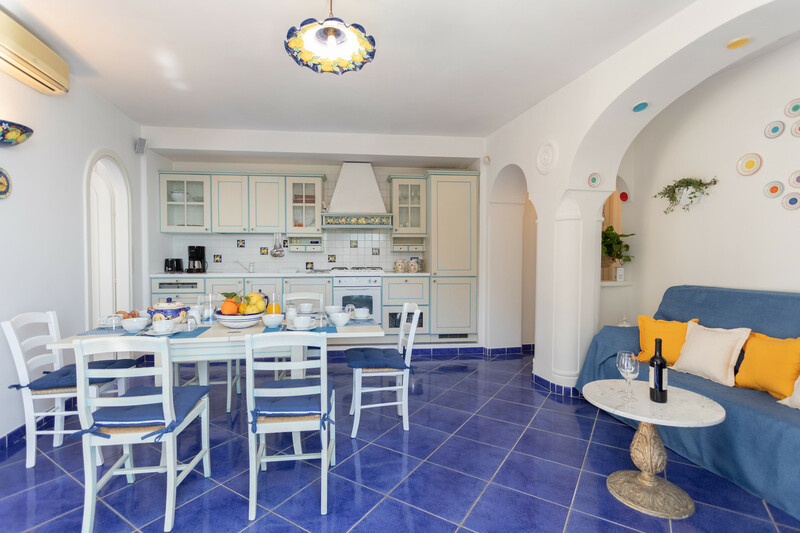 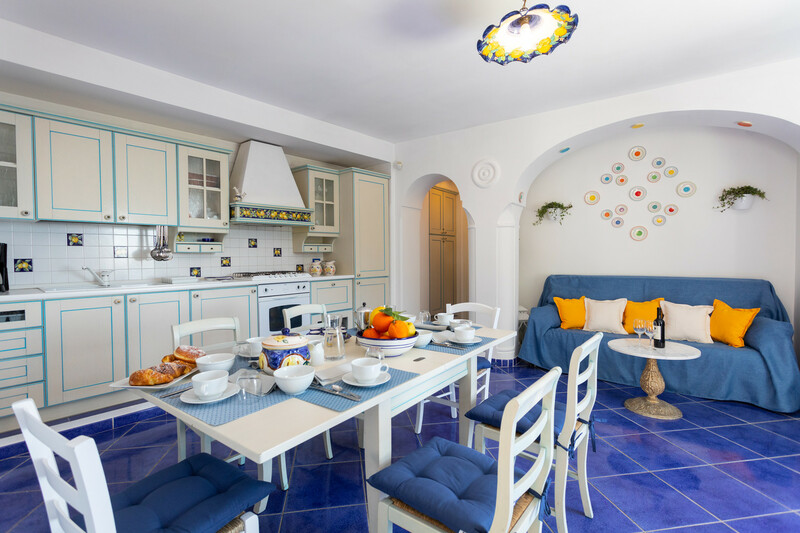 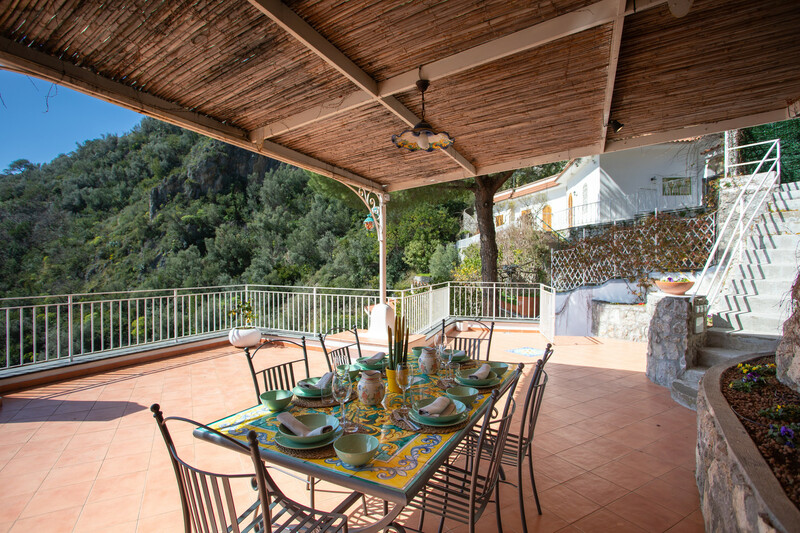 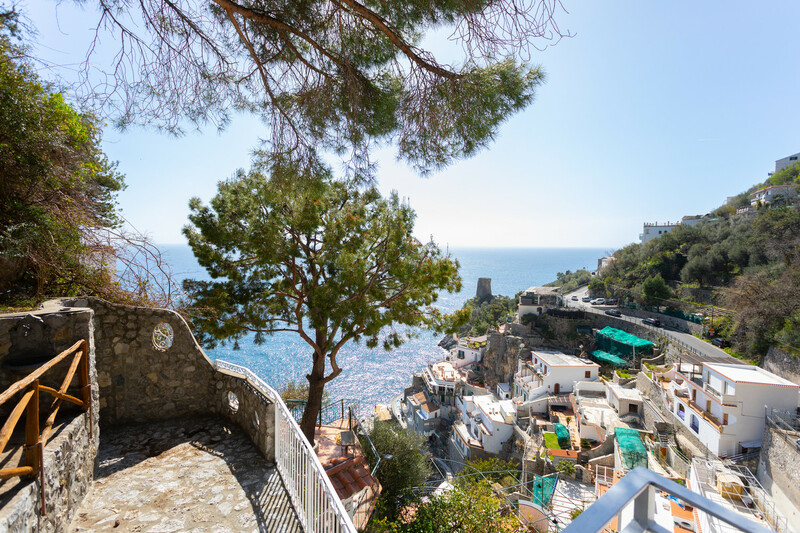 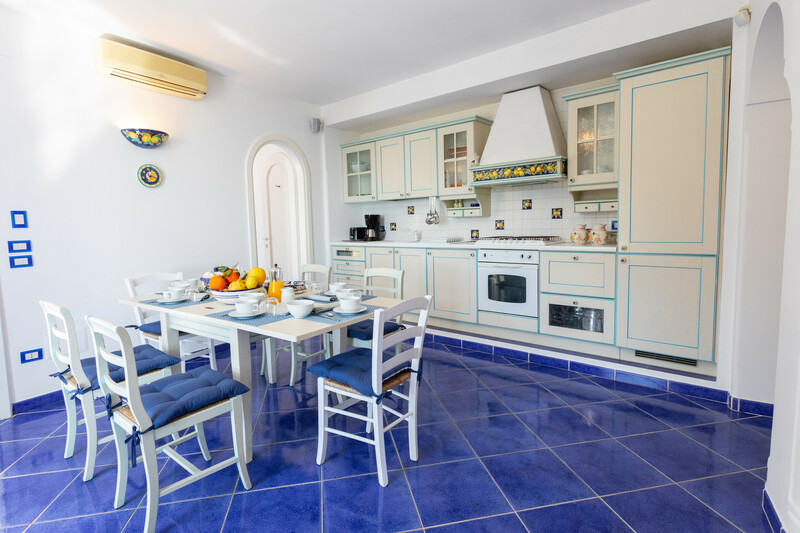 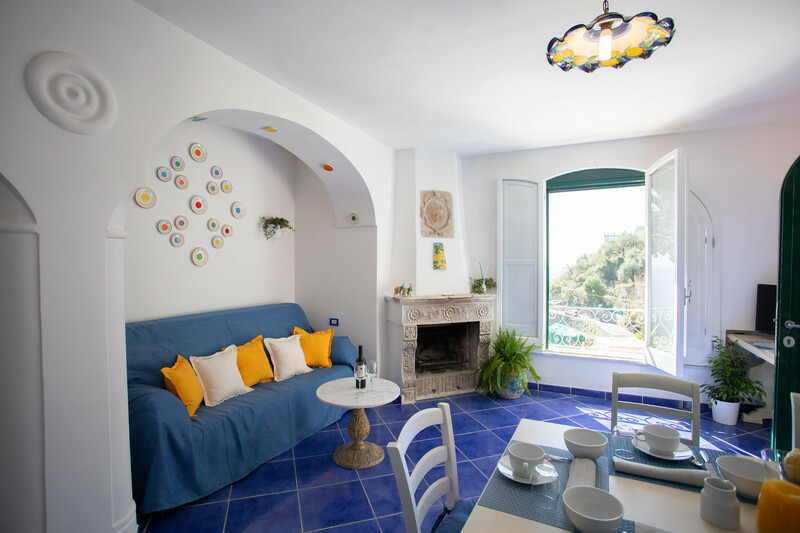 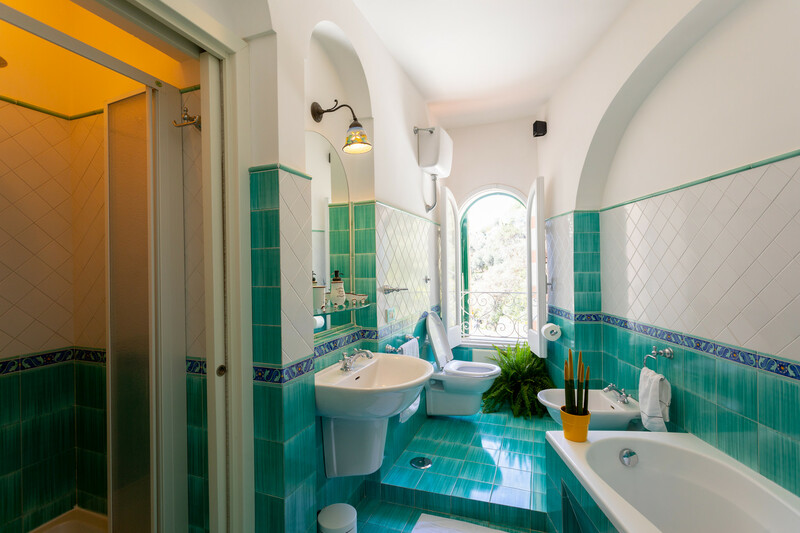 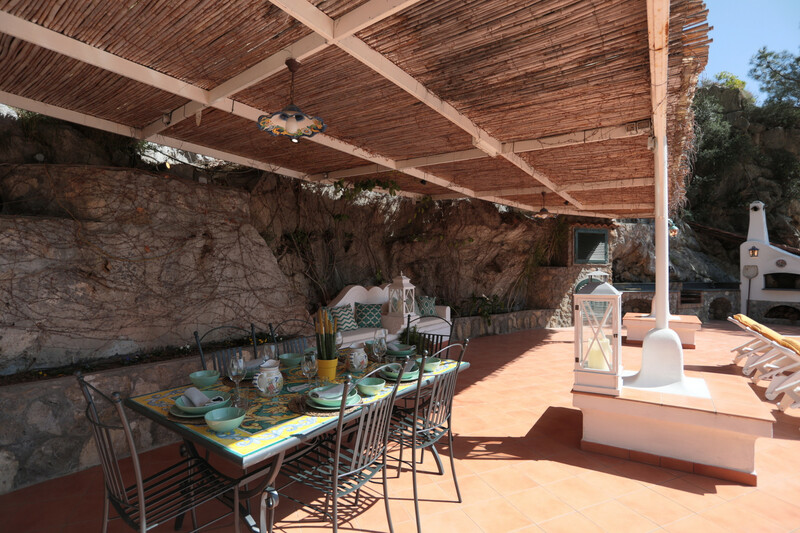 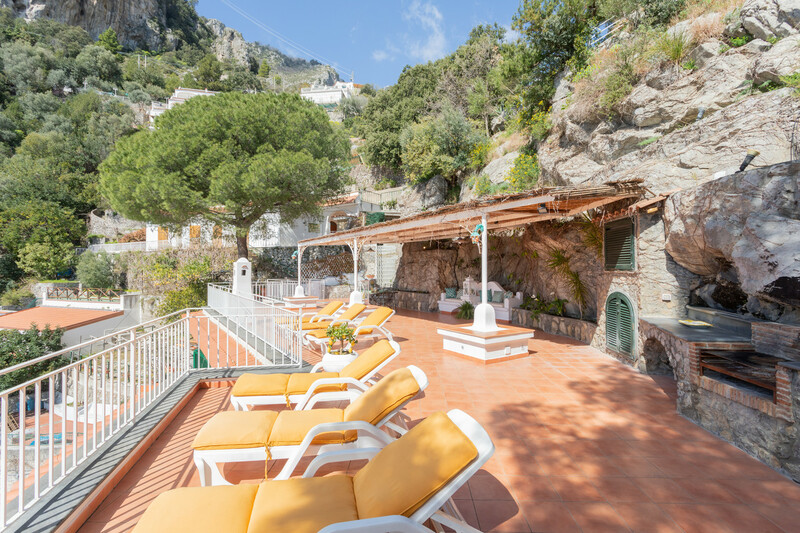 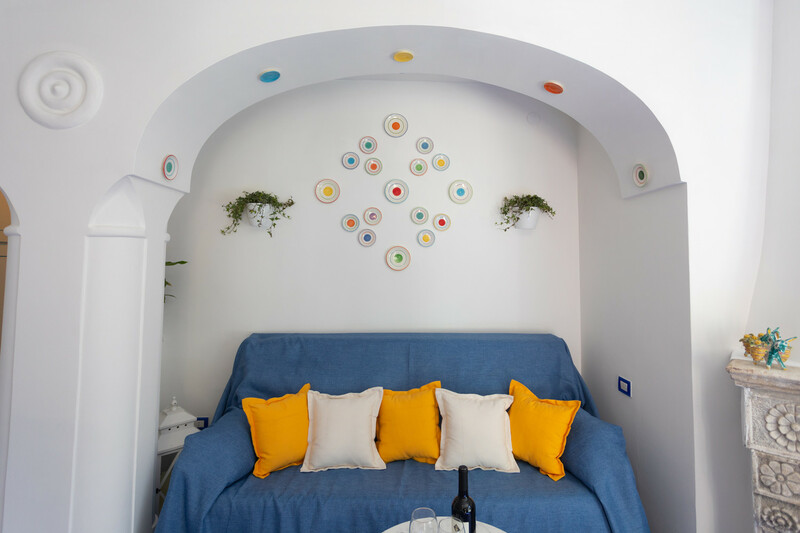 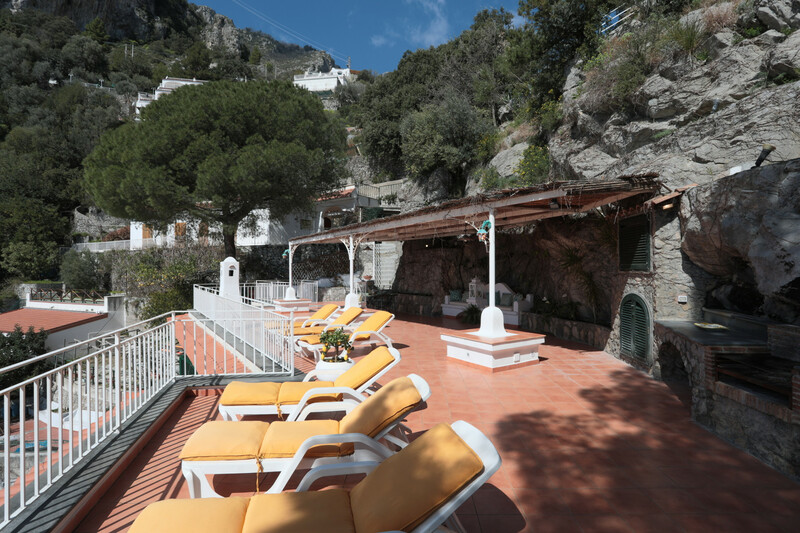 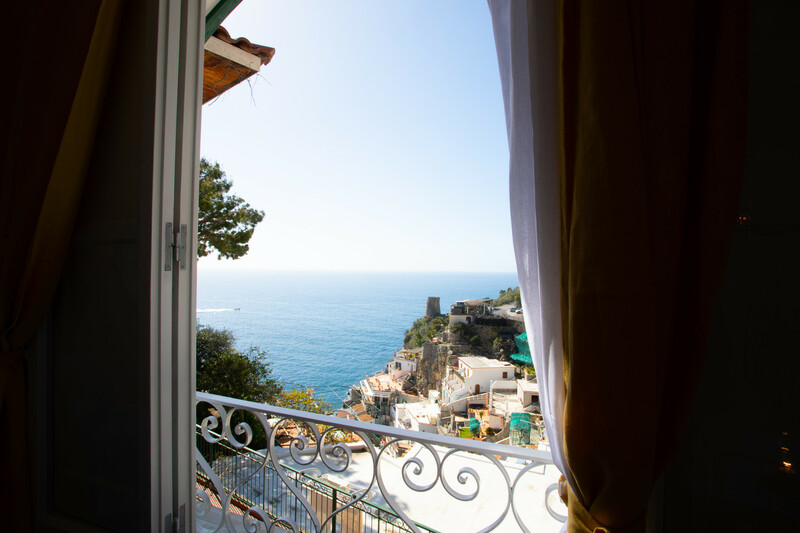 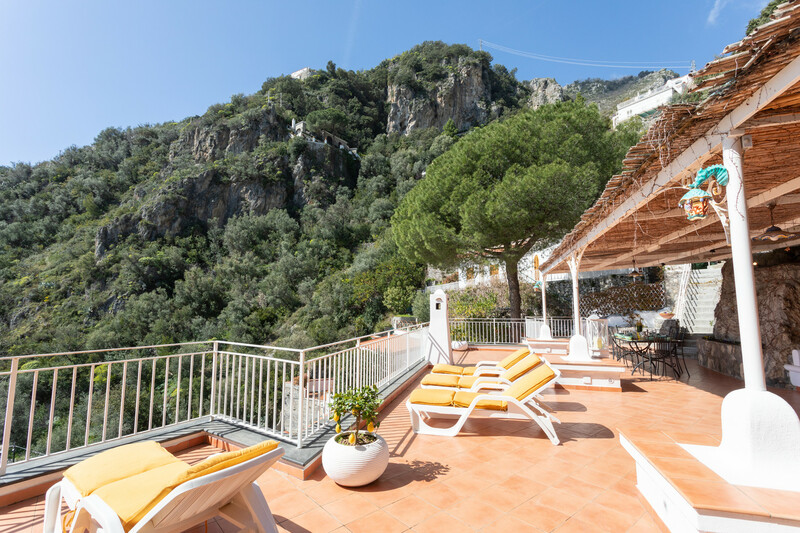 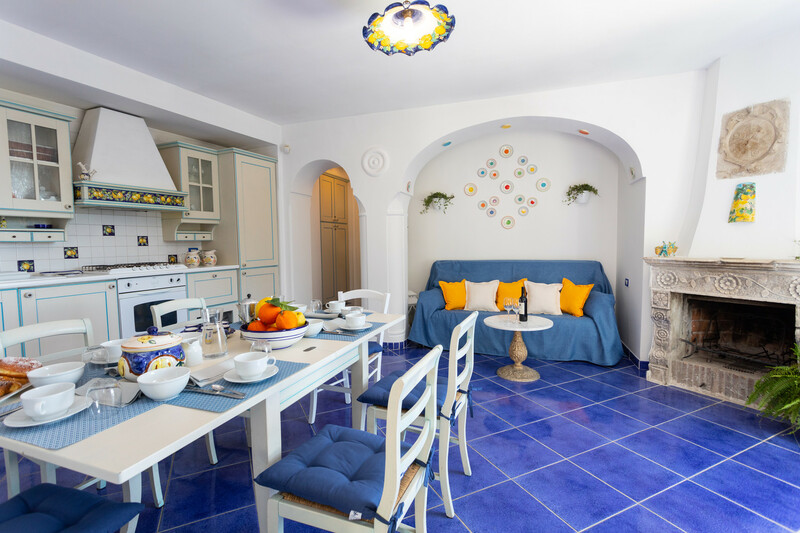 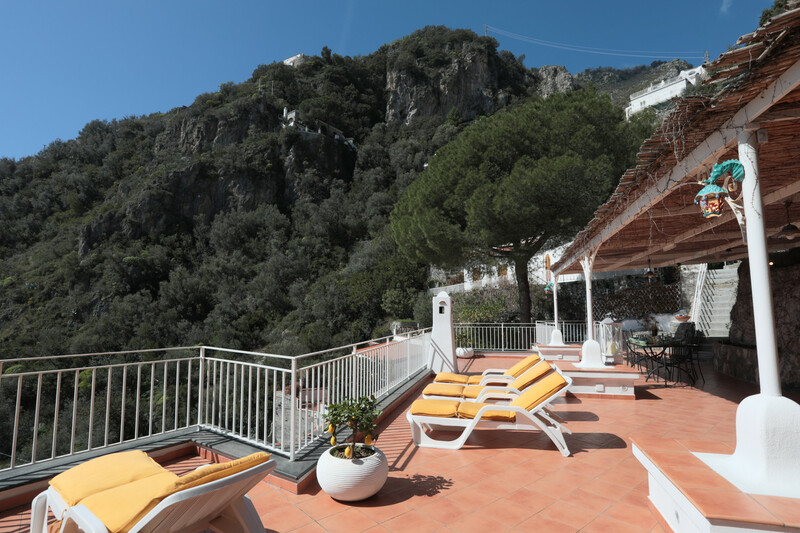 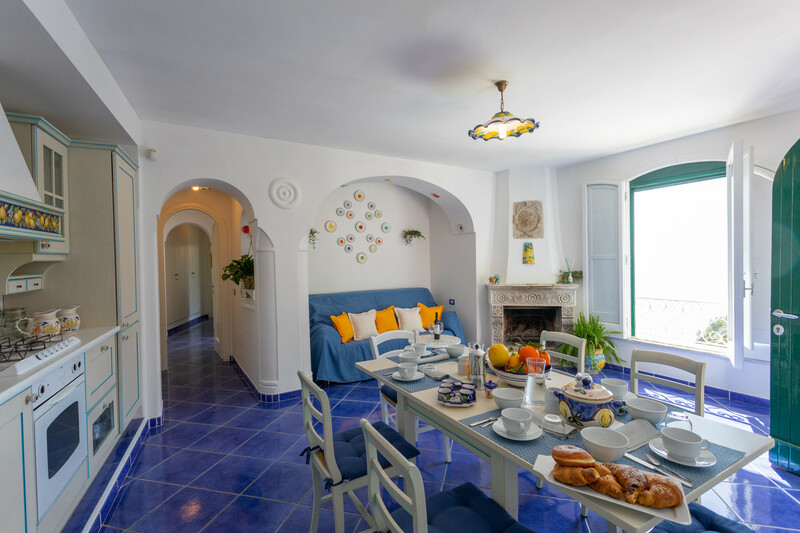 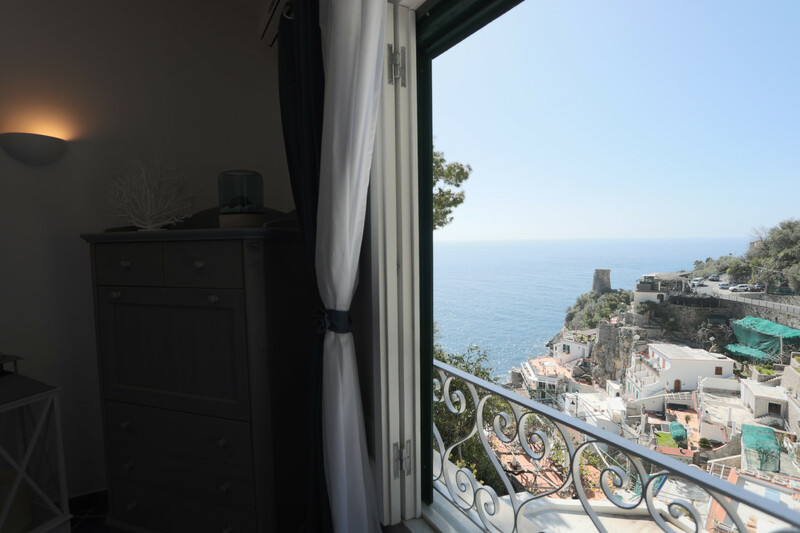 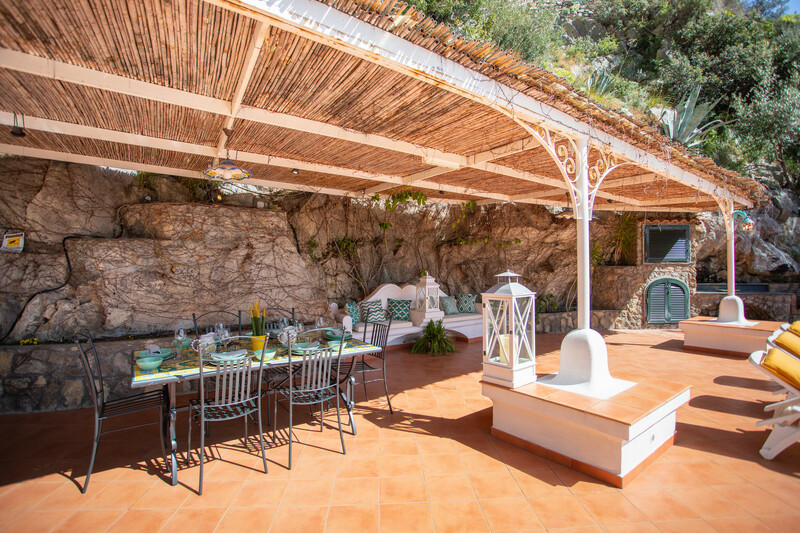 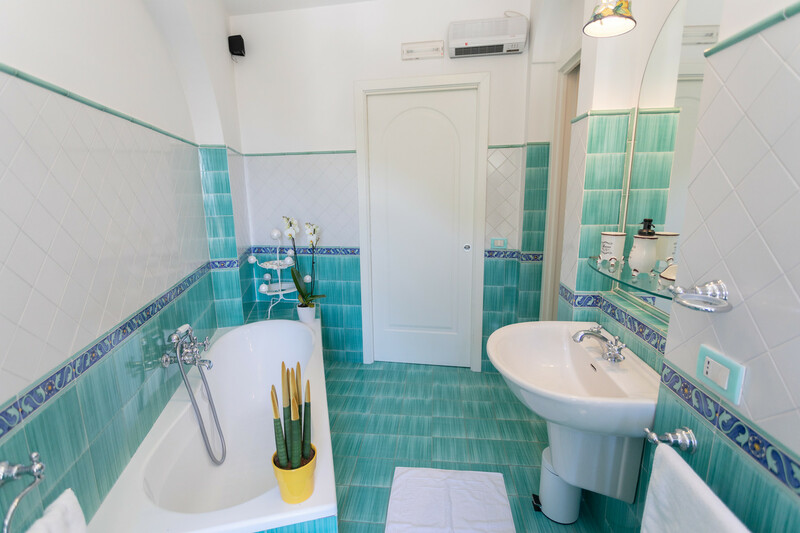 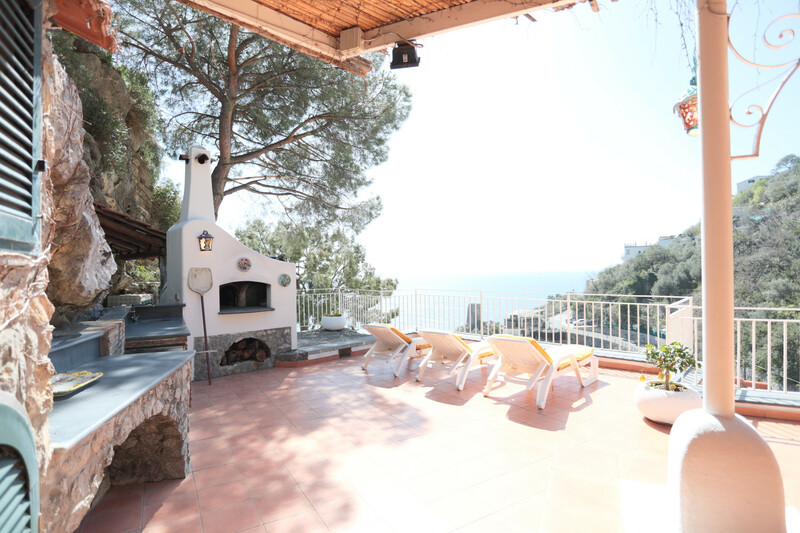 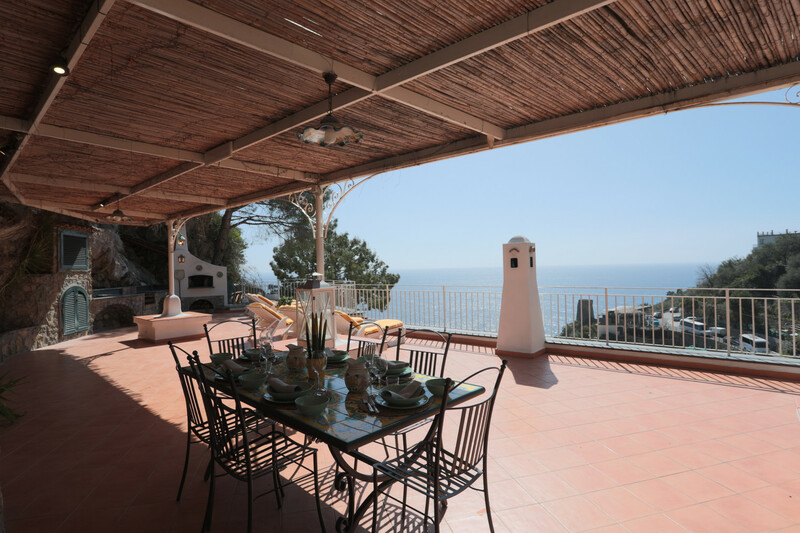 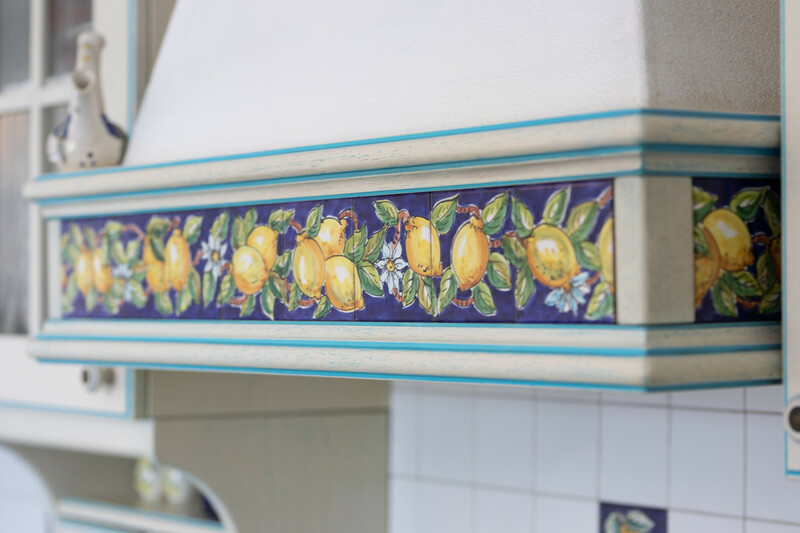 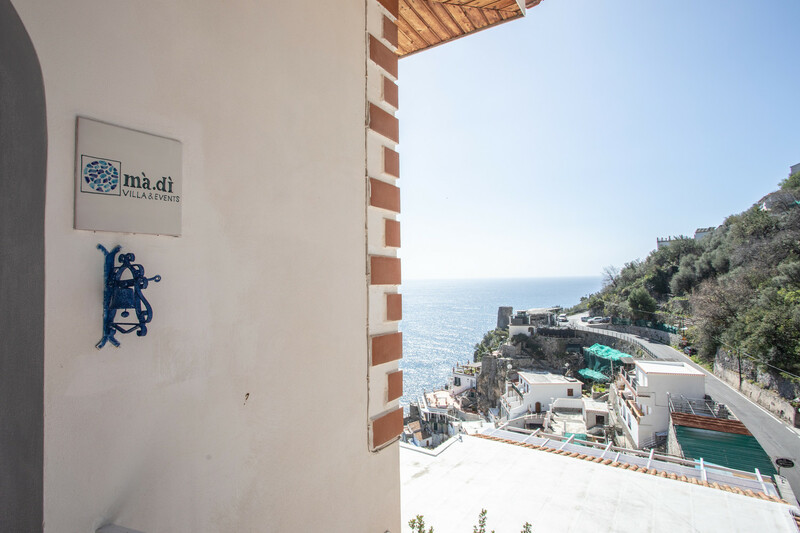 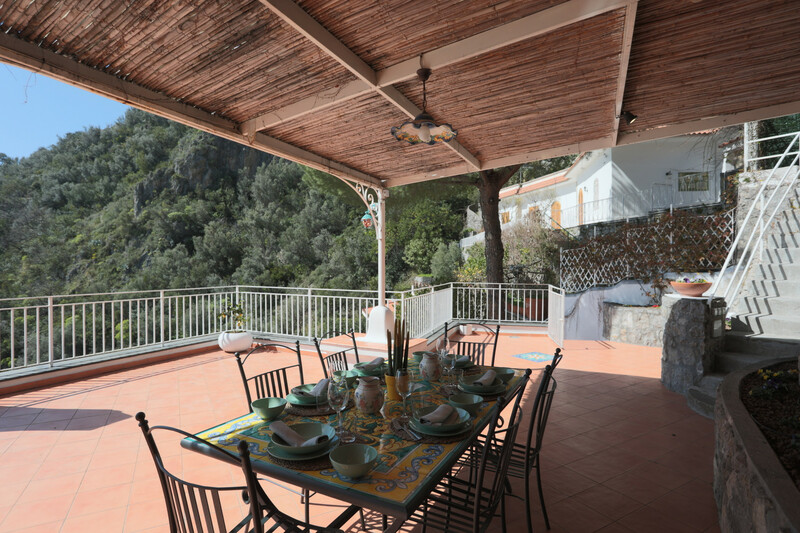 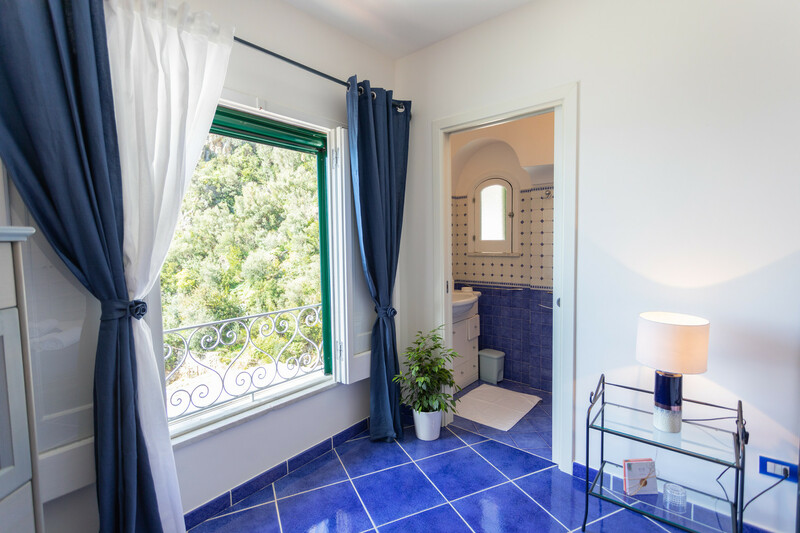 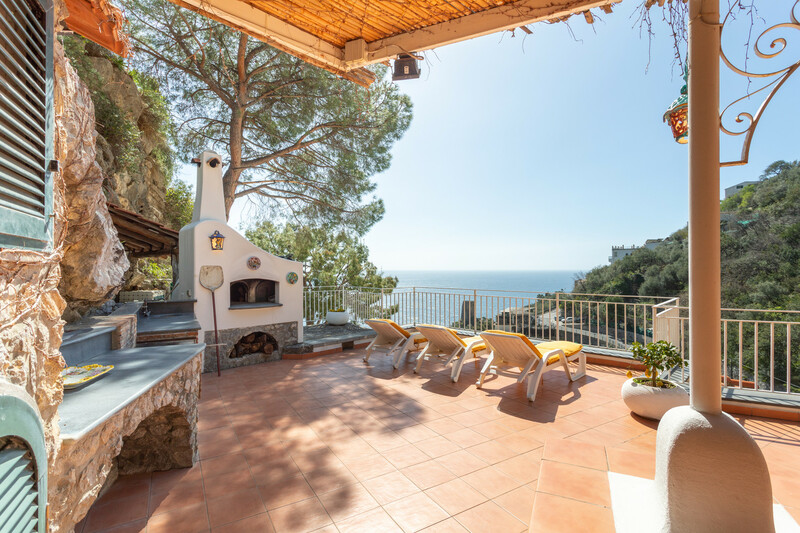 This bright and stunning Villa is the perfect place for a group of friends or family who wants to enjoy the beauty of the Amalfi Coast! 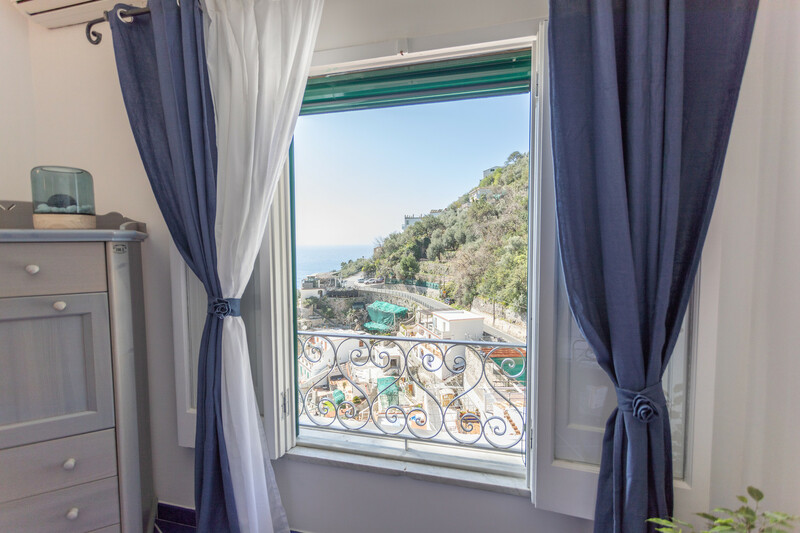 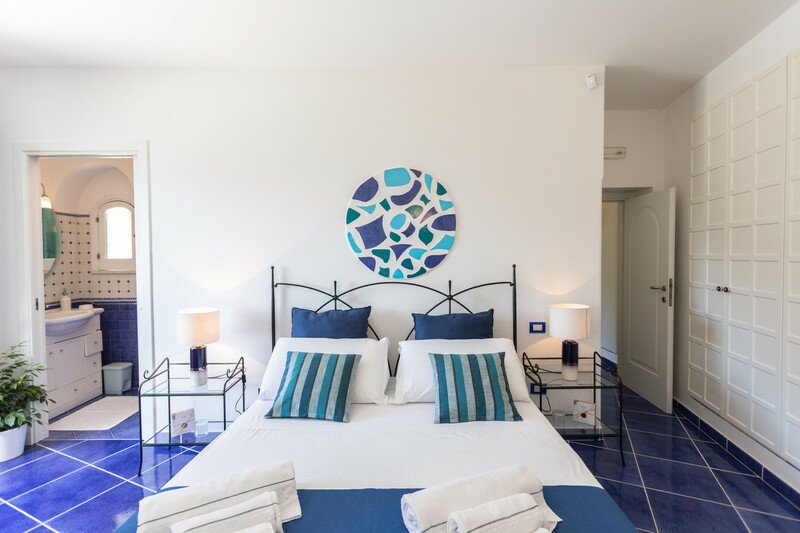 Villa Al Mare is located in a very quiet position, very close to the famous Marina di Praia, and only 80 steps away from the main road. 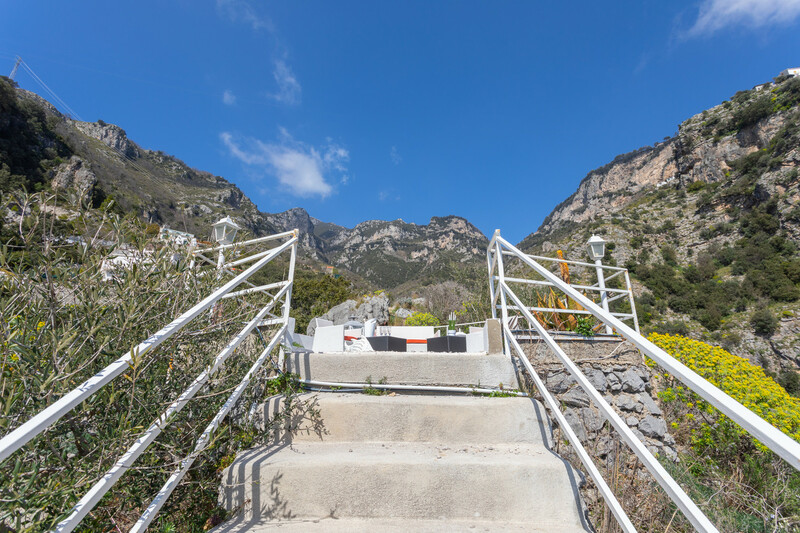 Private parking is available on request for a fee, and is located around 100 meters from the property. 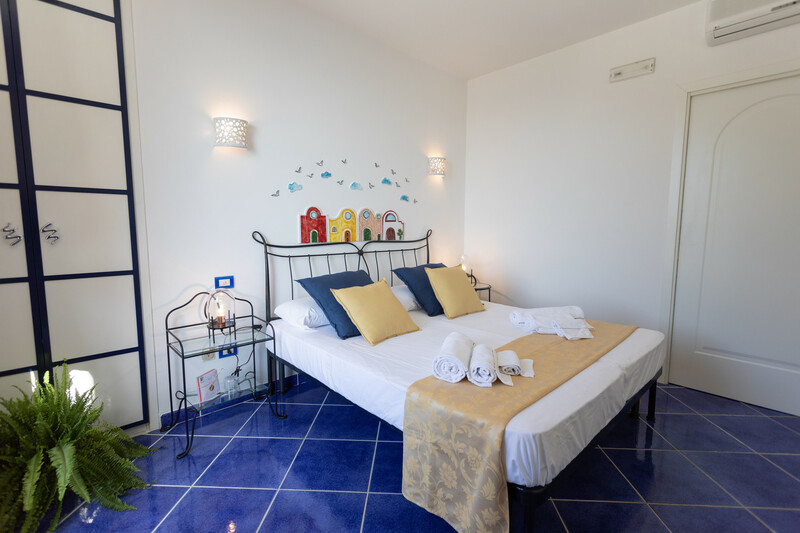 3 Double beds, 1 Sofa bed double. 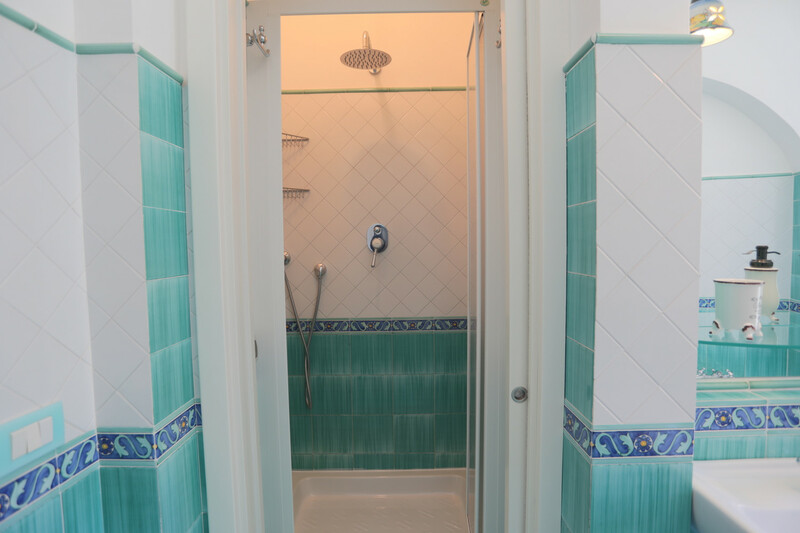 1 Bathroom with bathtub, 2 Bathrooms with shower, Hair dryer. 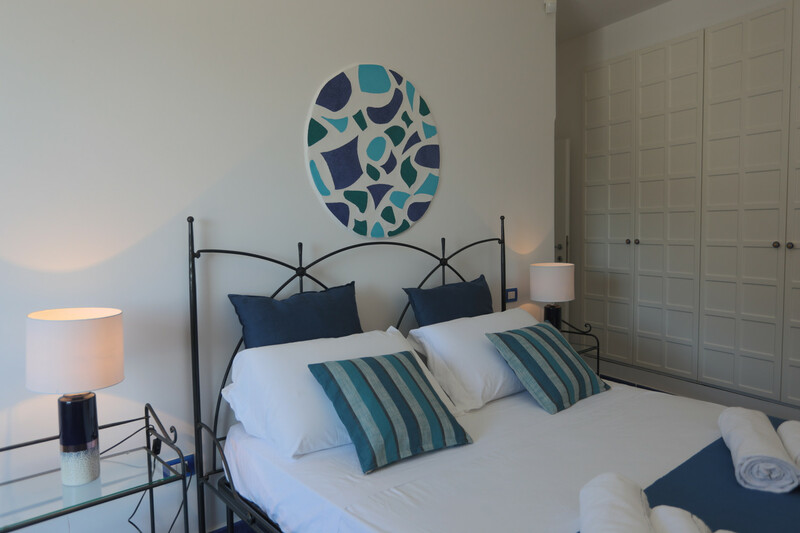 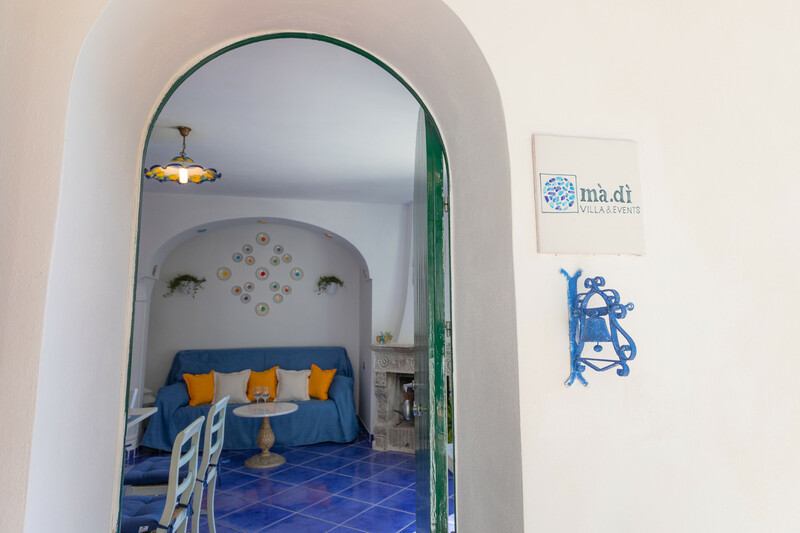 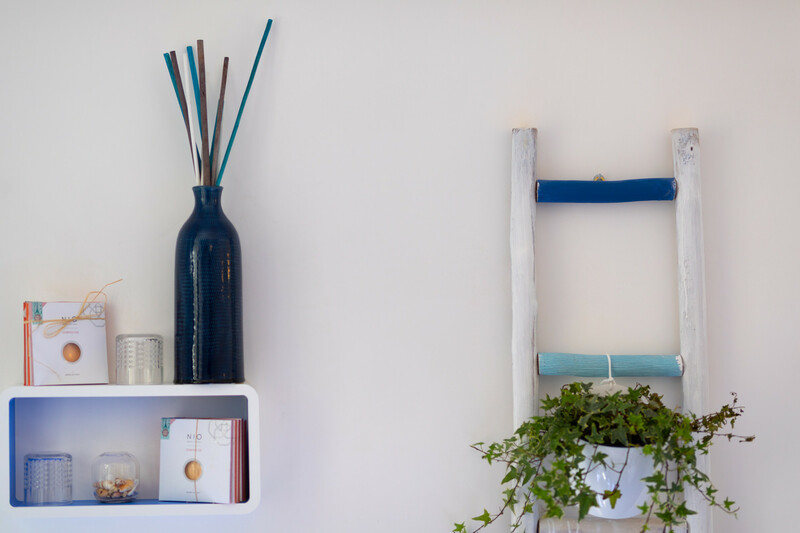 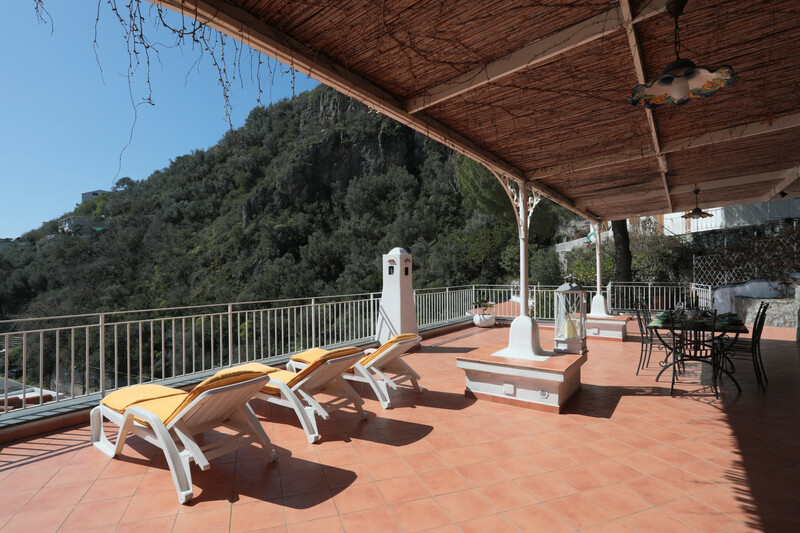 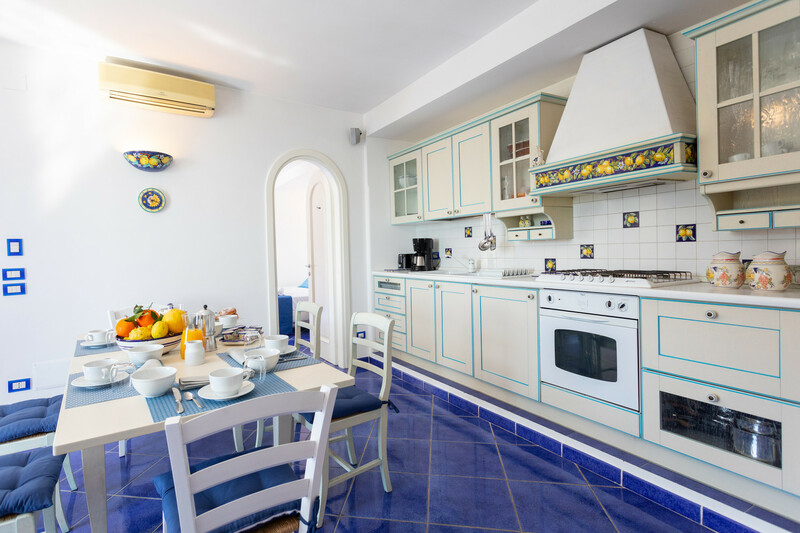 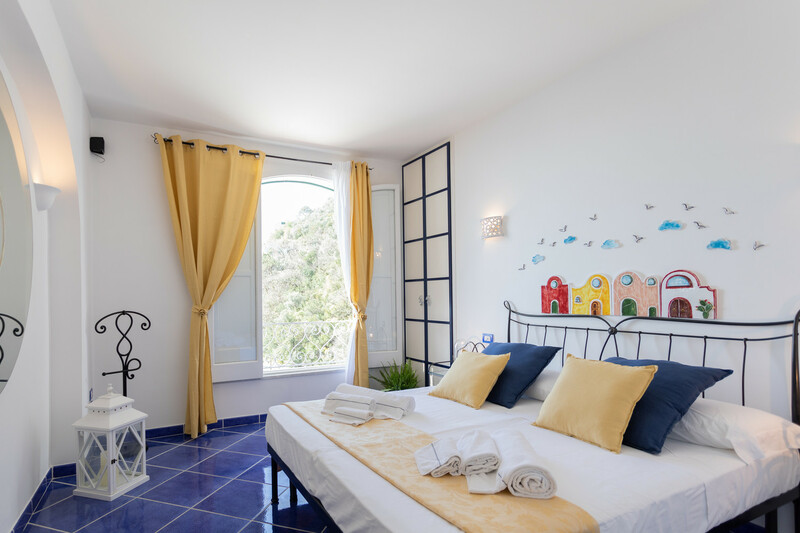 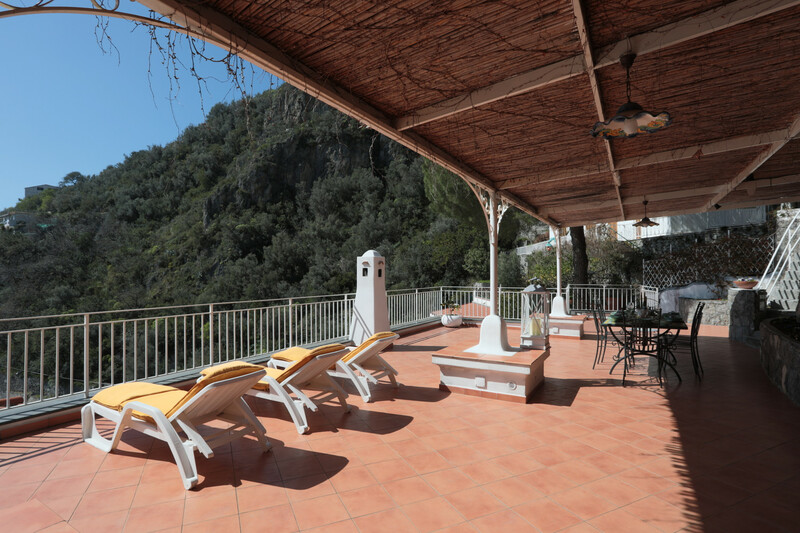 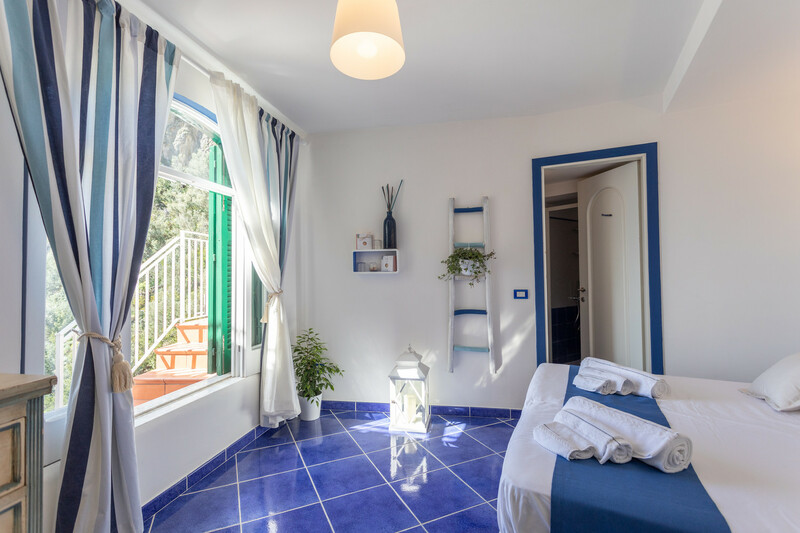 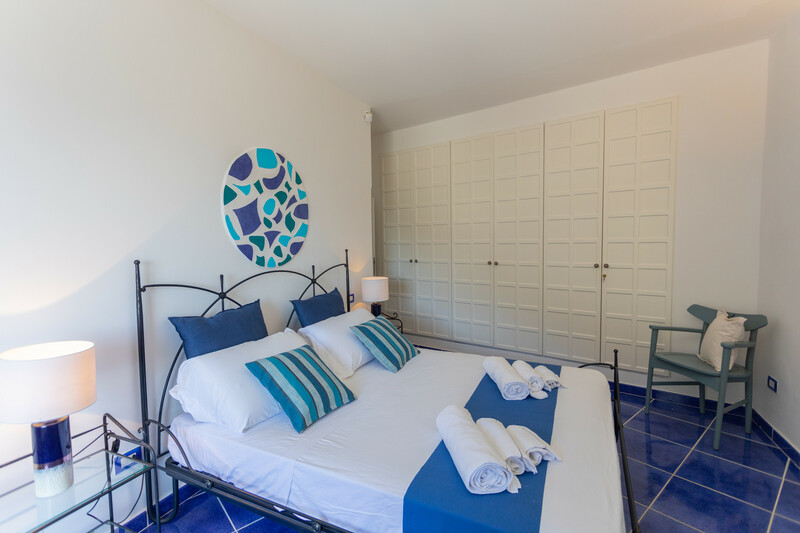 1 TV, TV Satellite (Languages: English), garden furniture, 100 m² terrace, barbecue, iron, internet (Wi-Fi), hair dryer, balcony, 100 m² property, 200 m² plot, central heating, air-conditioned, Covered parking (2 places) in the adjoining building. 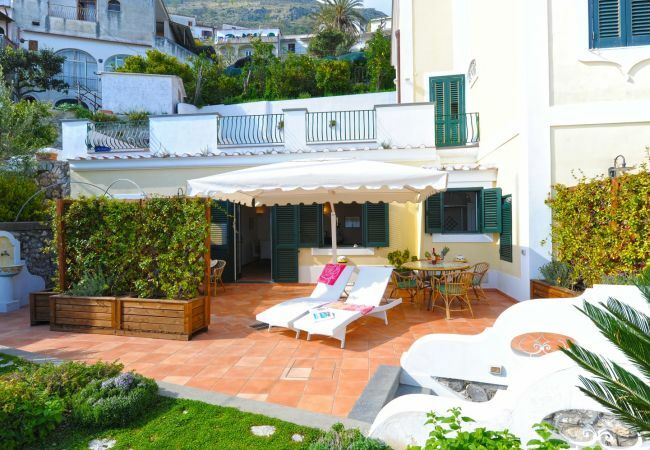 Amount: €500.00 /booking.Payment method: cash.To be paid on site. 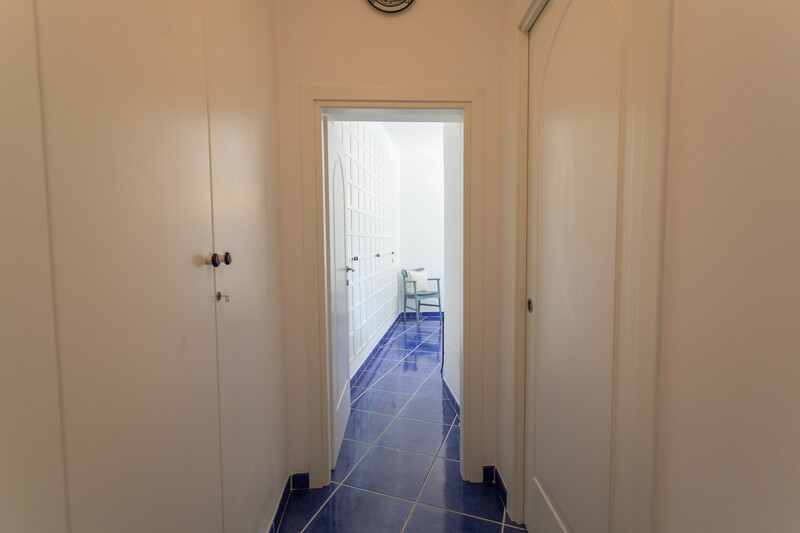 Energy costs. 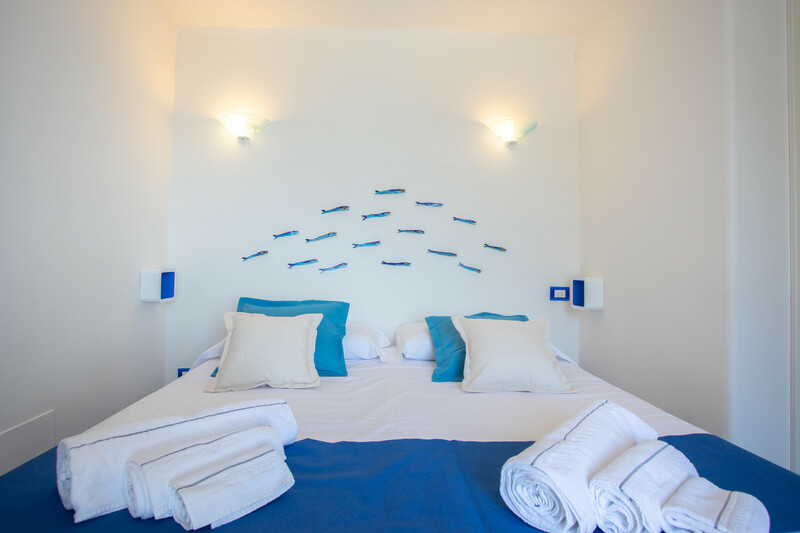 The electricity consumption is charged separately at €0.35/kW. 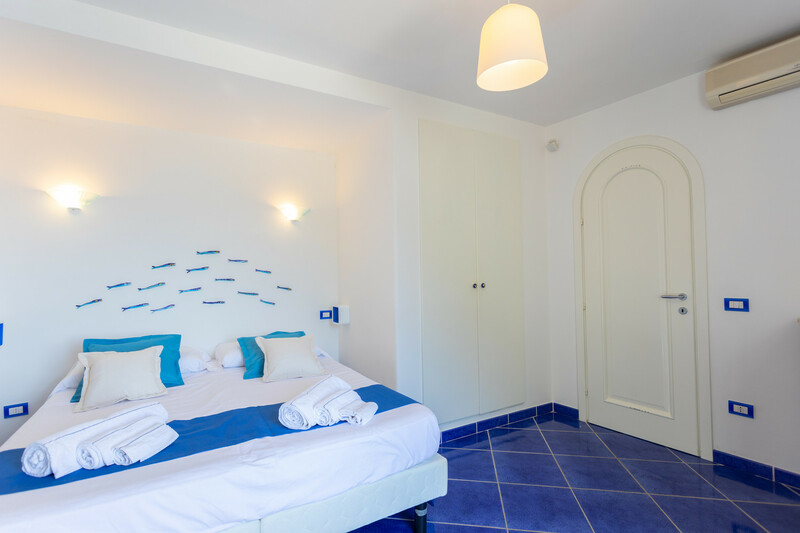 On the departure day, the amount will be subtracted from the deposit paid at the destination. 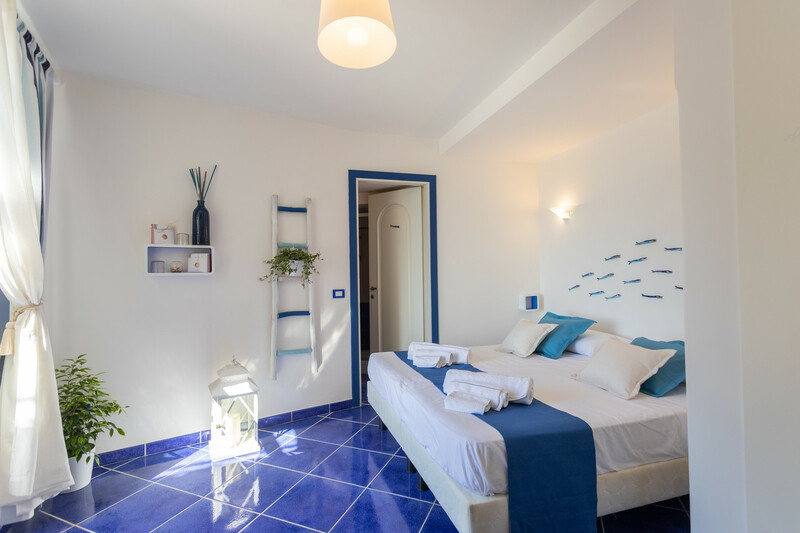 The electricity consumption is charged separately at €0.35/kW. 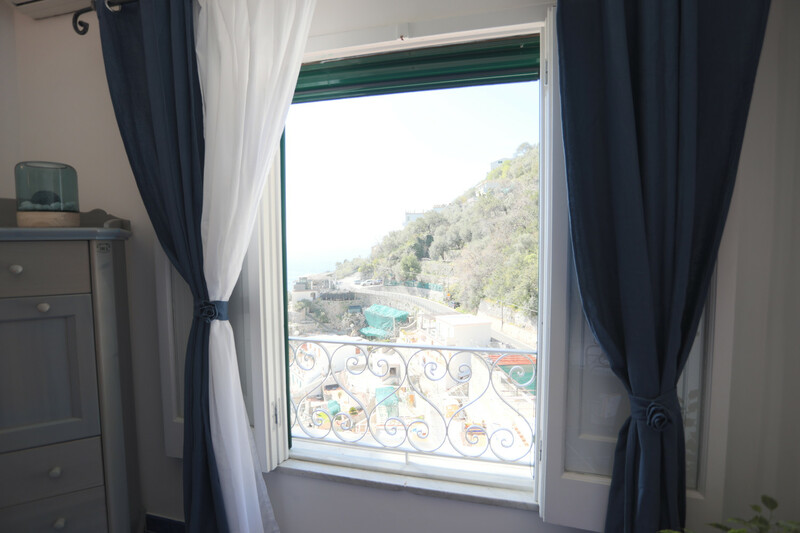 On the departure day, the amount will be subtracted from the deposit paid at the destination.